I'd like to introduce you to the newest members of the Stonyfield product line. 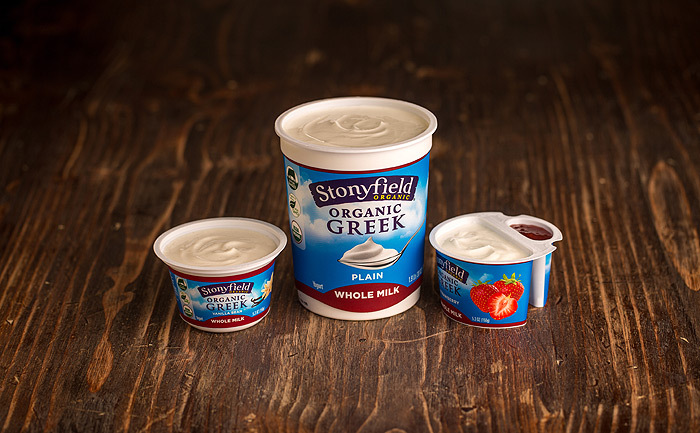 Stonyfield Whole Milk Greek Yogurt with side cars and Stonyfield Grassfed Yogurt, hit the shelves earlier this year, and I'm already a big fan. A firm believer in whole milk products vs non-fat it's only natural that I am head over heels for these new products. Why the infatuation with whole milk yogurt? For one it's thicker and creamier than other types of yogurt. And most importantly it keeps me feeling satisfied much longer than lower fat versions. 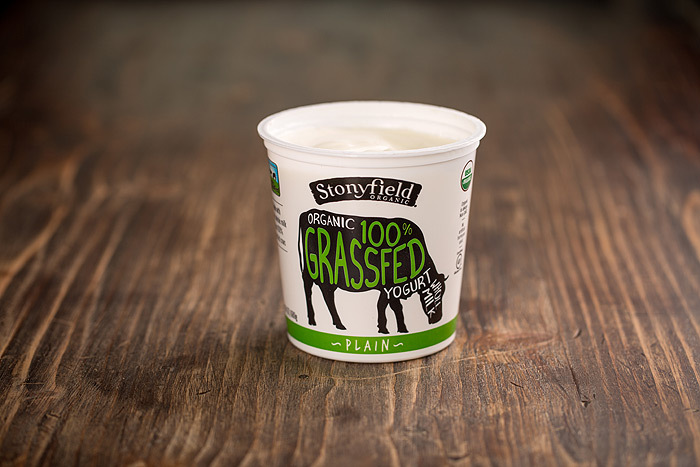 What makes Stonyfield Grass-fed Yogurt different? In addition to pasture, organic cows sometimes eat things like organic oats and other organic grains. Not Stonyfield cows...their 100% Pennsylvania Certified Organic Grass-fed cows eat ALL grass, all year round. This is a big deal since less than 5% of NY dairy farms raise 100% grass-fed cows. What does this mean for you? A yogurt that is extra rich and full of flavor. One taste of the plain Grass-fed is all it took and I was smitten. Bottom line: With these two new Stonyfield products there are now more ways to enjoy the goodness of whole milk yogurt. Give it a try...I think you will agree with me that it's something special. Yum! I love full fat yogurt too! Wow! We've been looking for some better-for-us yogurt options, and this looks great. Thanks so much for sharing! I noticed a couple of these in the store recently. I'm all for grassfed! I will definitely give this a try! Thanks for sharing! I like the idea of yogurt made from grass fed cows! Those look great! I love thick, probiotic-rich yogurt! I love thick, creamy yogurt - even more so when grass-fed. Wow! I never heard/noticed this brand before... Grass feed?! That's awesome! Oooooh I'd love to try the grassfed one! We tend to make our own yogurt but it'd be great to have a back up that I could buy when I don't feel like diy'ing it! I've tried this and it's really good! So glad to see this product available. So, so good! I'm glad they added both of these to the line-up! Yum, these sound fantastic - I will definitely pick some up when I see them! So cool that they have a grass-fed option now! That's wonderful news. We love their Whole Milk Greek Yogurt! It's always in our fridge! Thanks goodness for whole milk yogurt! I'm not into low-fat stuff at all. Finally! I get so frustrated seeing only low and non fat options! Definitely full fat real yogurt!! Wonder if this brand is available in Canada.. Will watch for it.